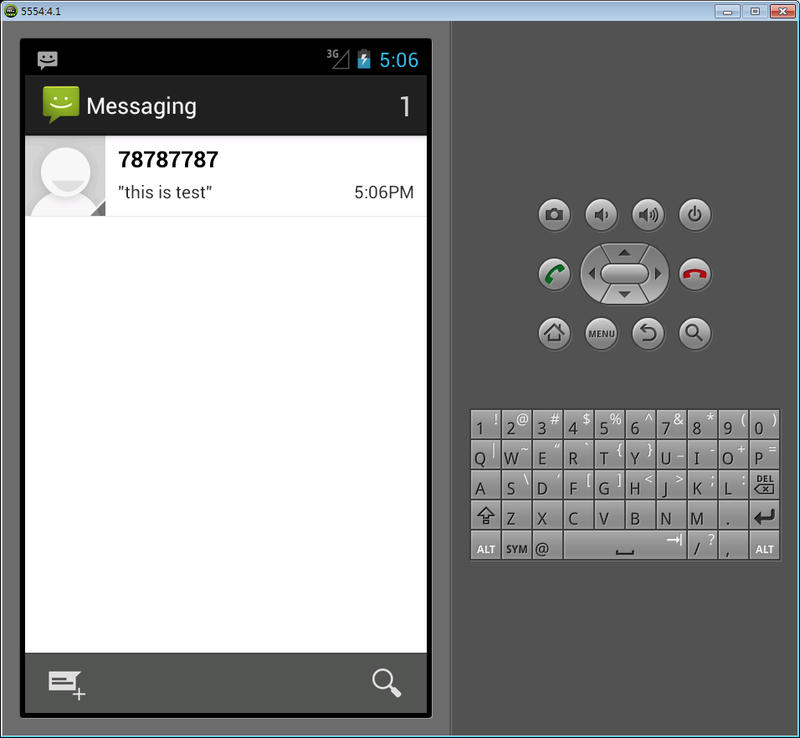 If you try to develop SMS related Android app, you may want to send testing SMS to your emulator through Emulator Console. 1. Make sure your AVD was started. 3. Connect your local host with TCP port 5554. Press "Save" and "Open" to start Emulator Console. 4. if all things go fine, Emulator Console will display as follow. 5. 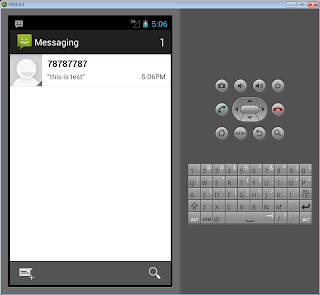 Type in "sms send <phone number> <message text>". 6. SMS message will be delivered ti AVD.